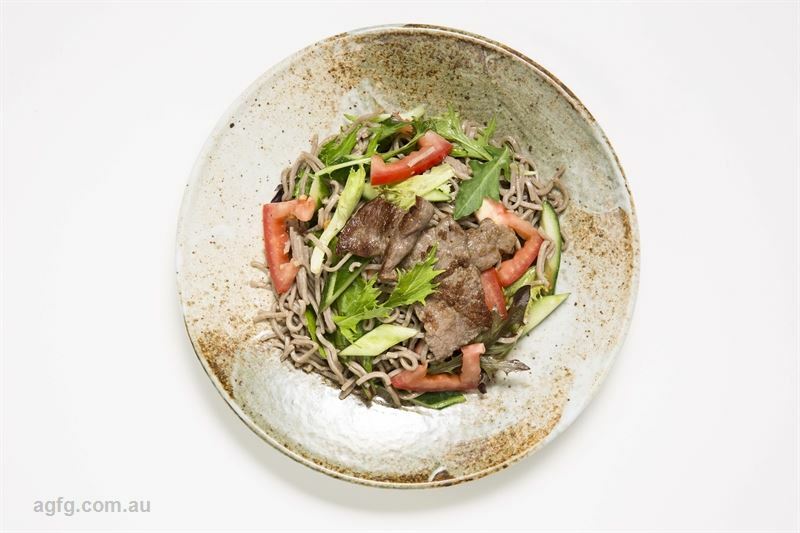 Sizzling marinated Wagyu stir fry, with black pepper, onion, shallot, mushroom, green beans and rice. 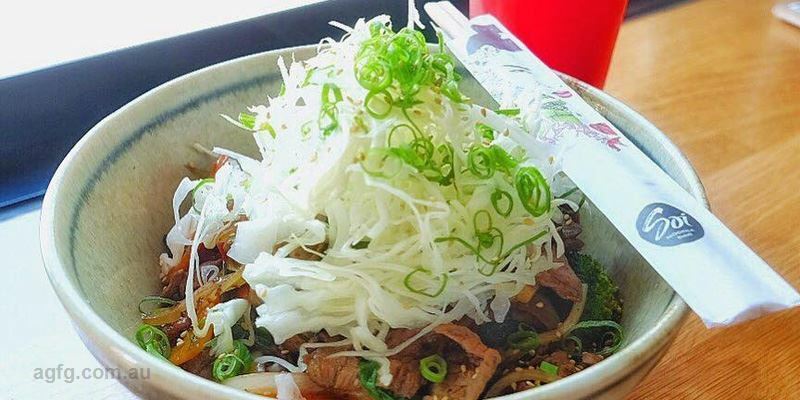 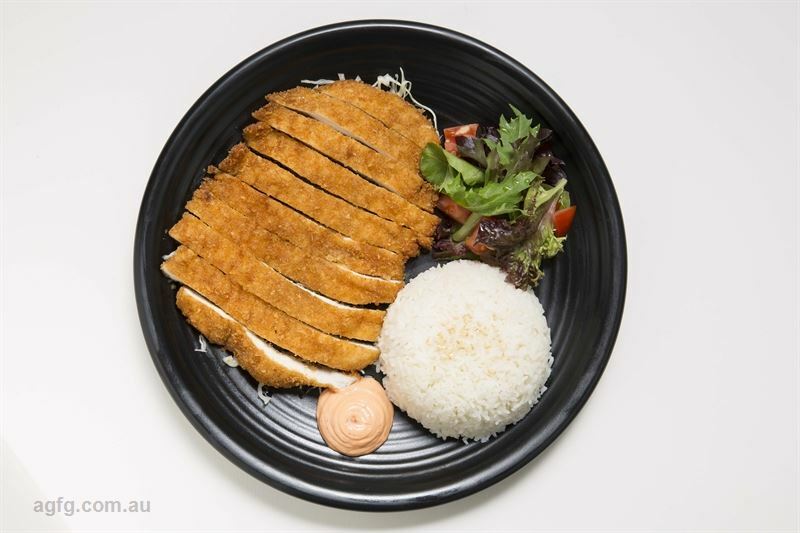 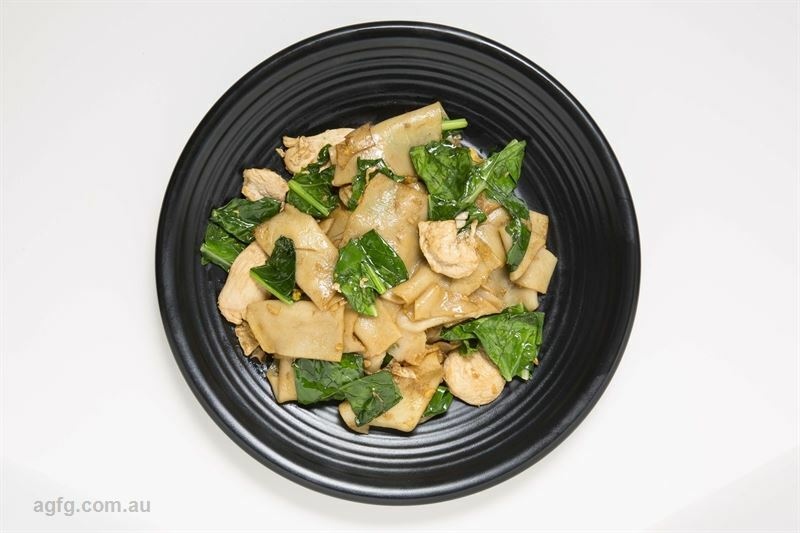 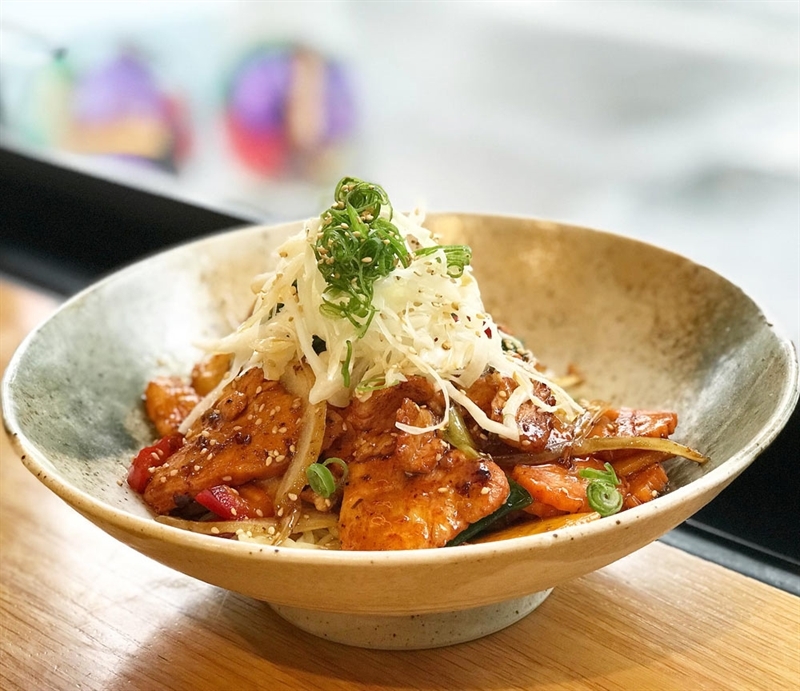 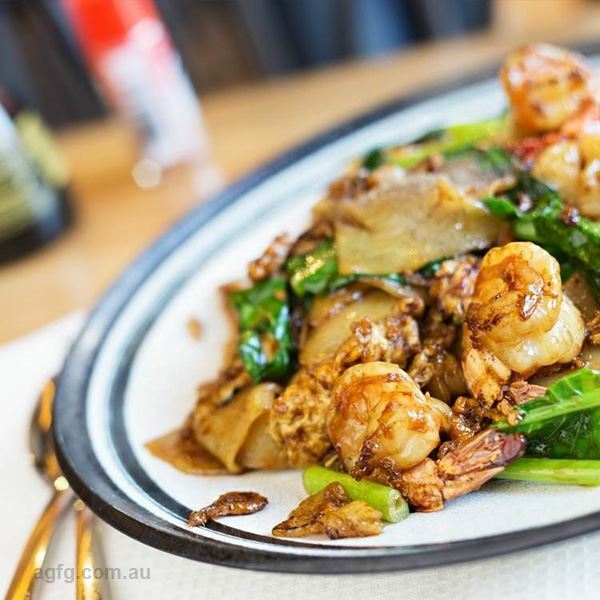 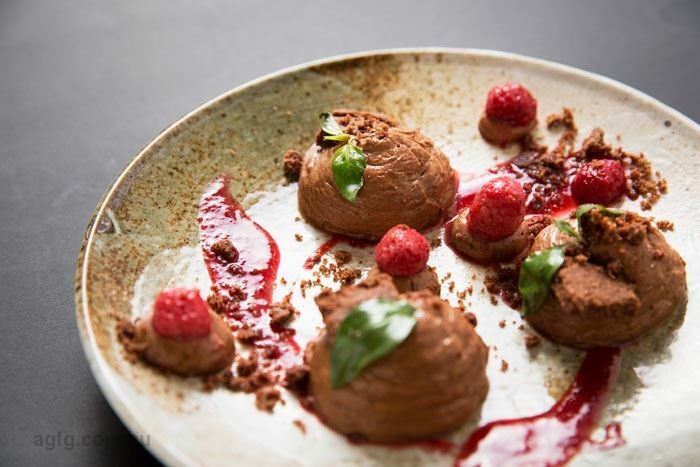 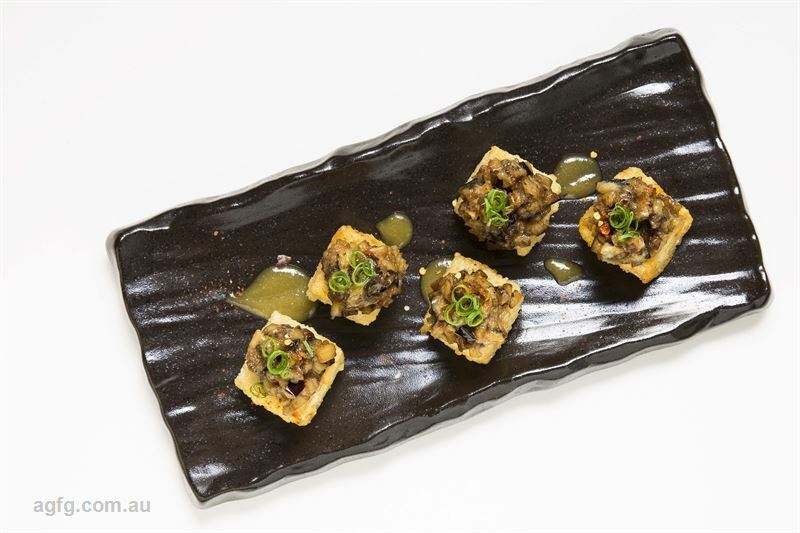 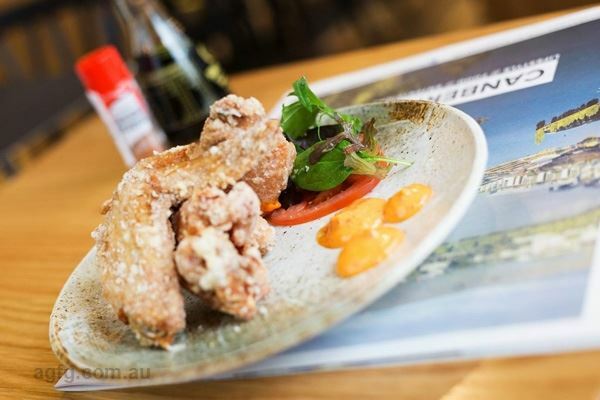 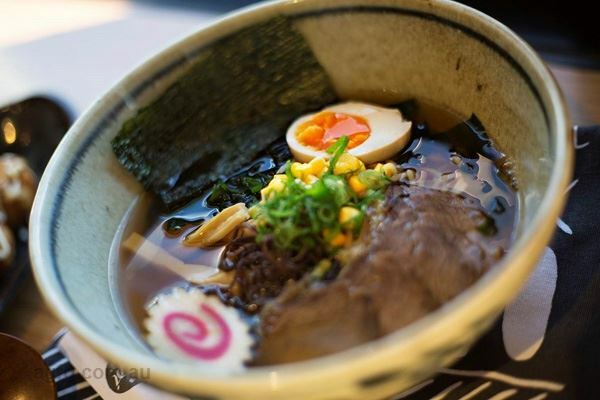 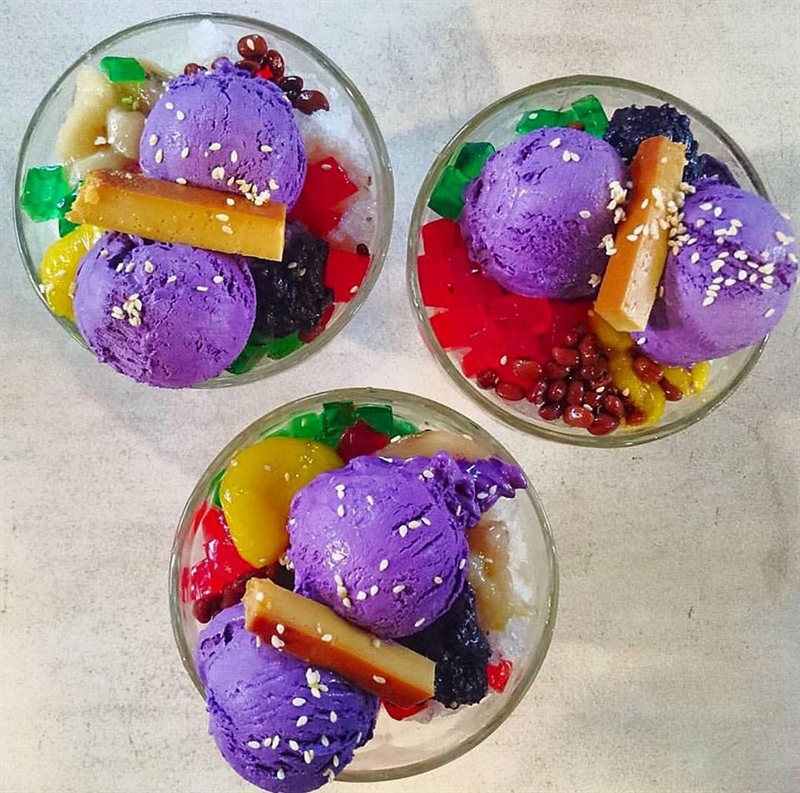 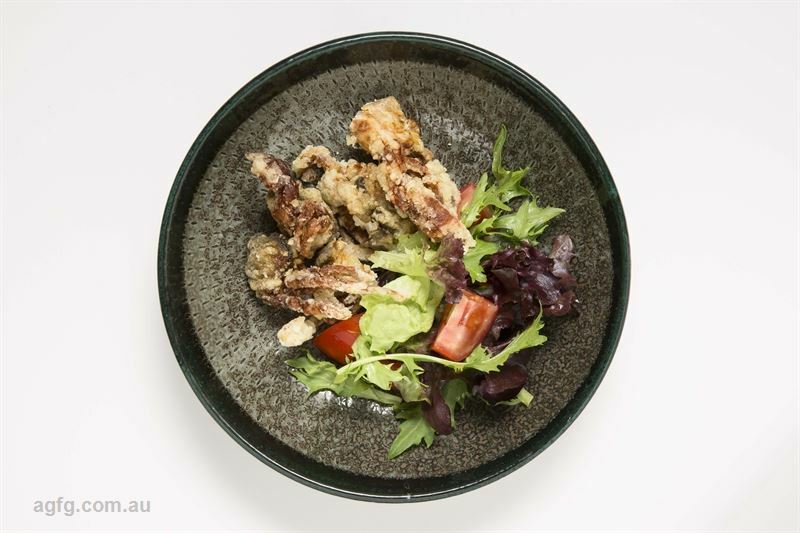 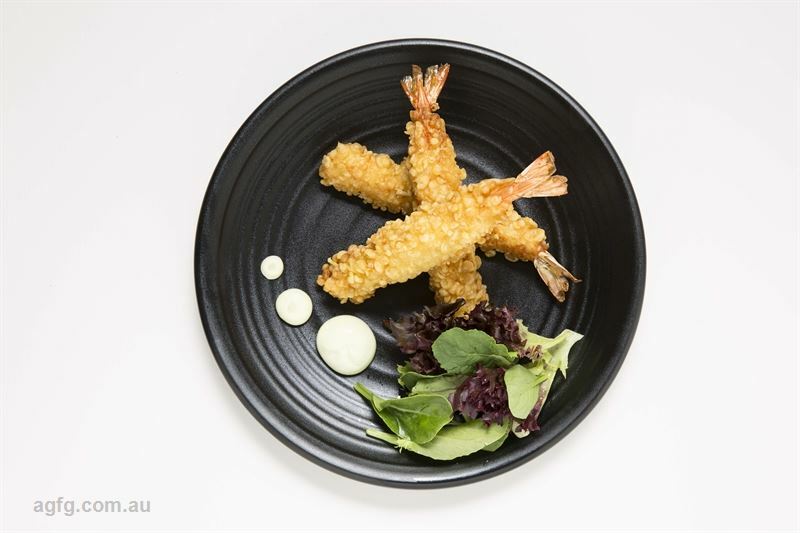 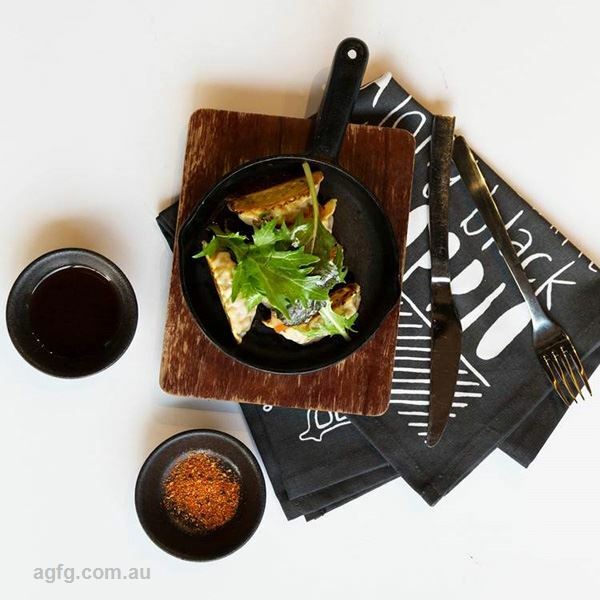 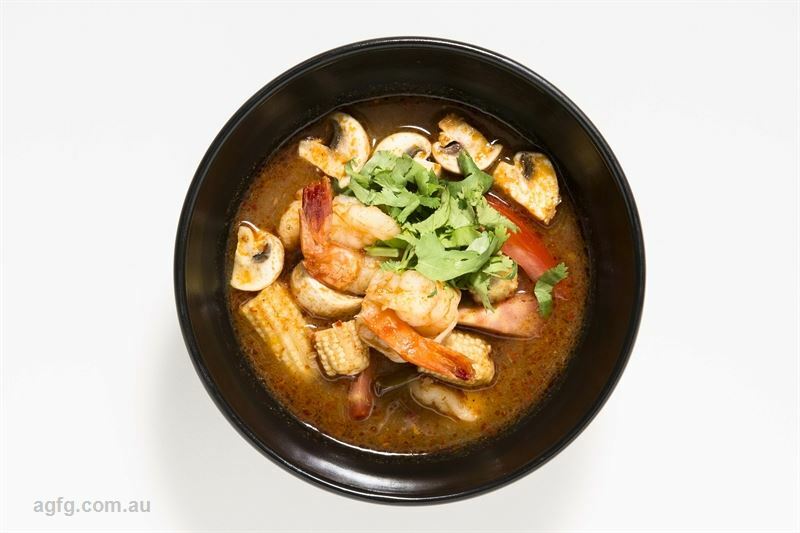 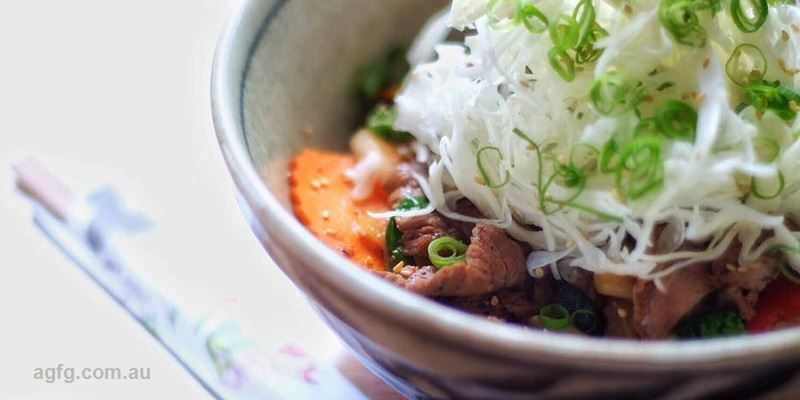 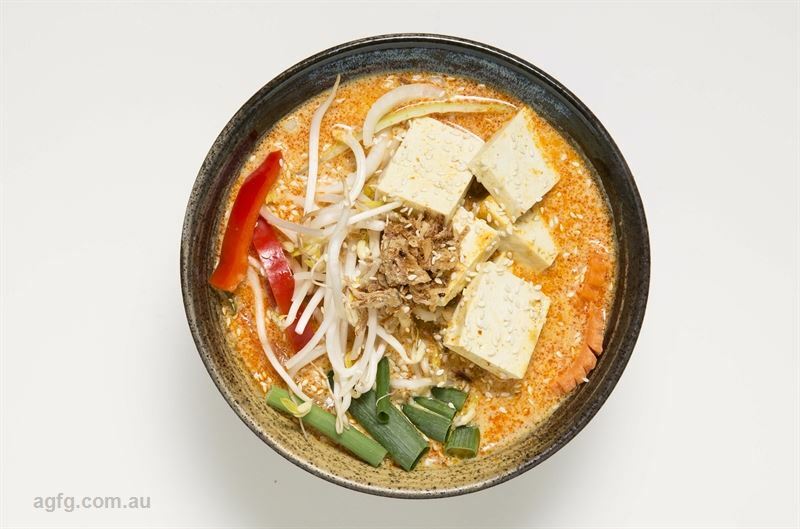 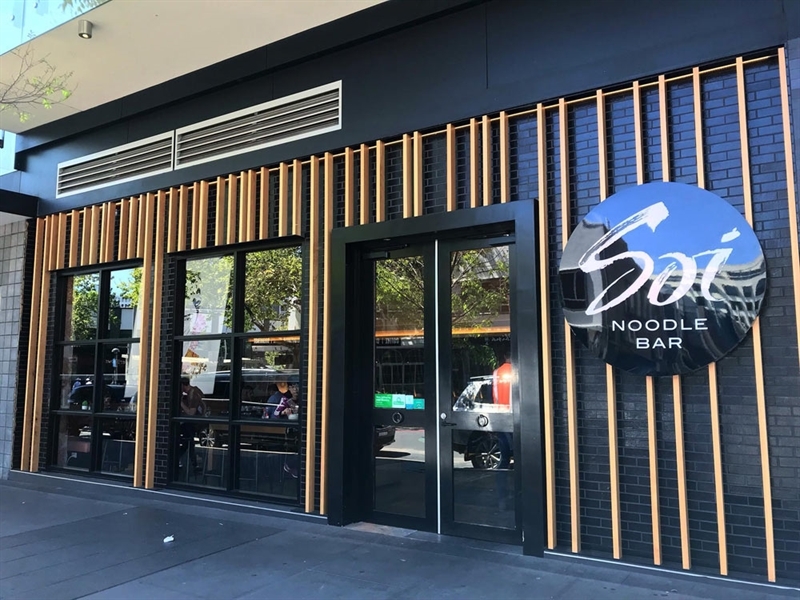 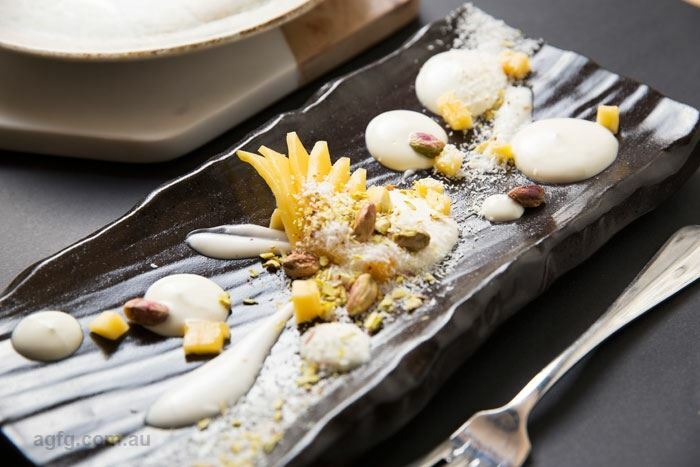 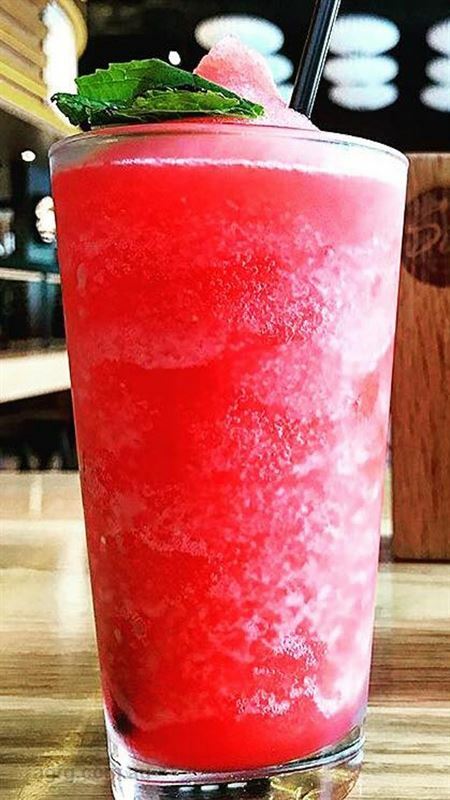 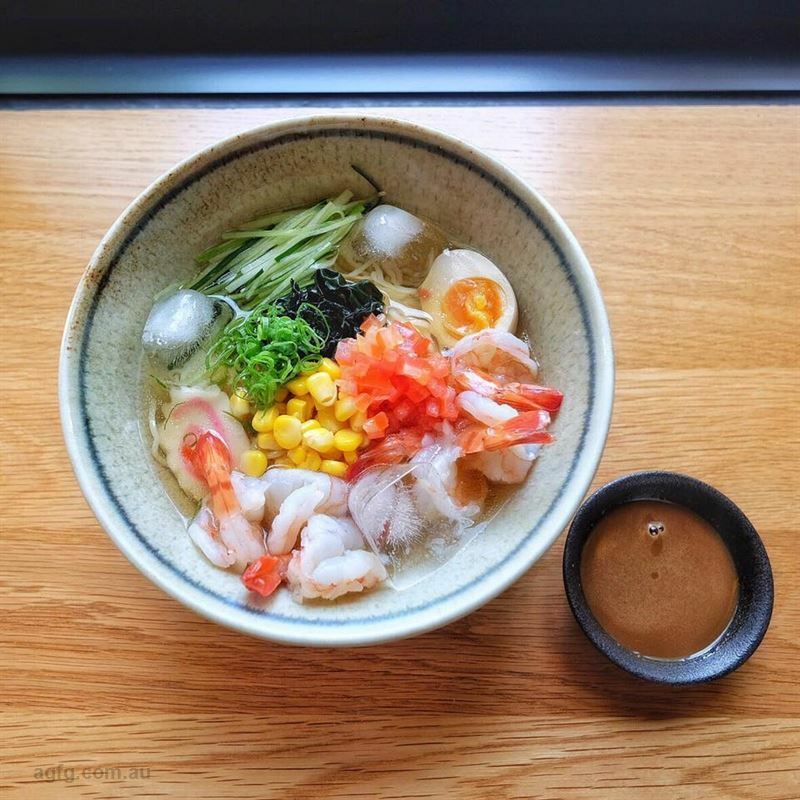 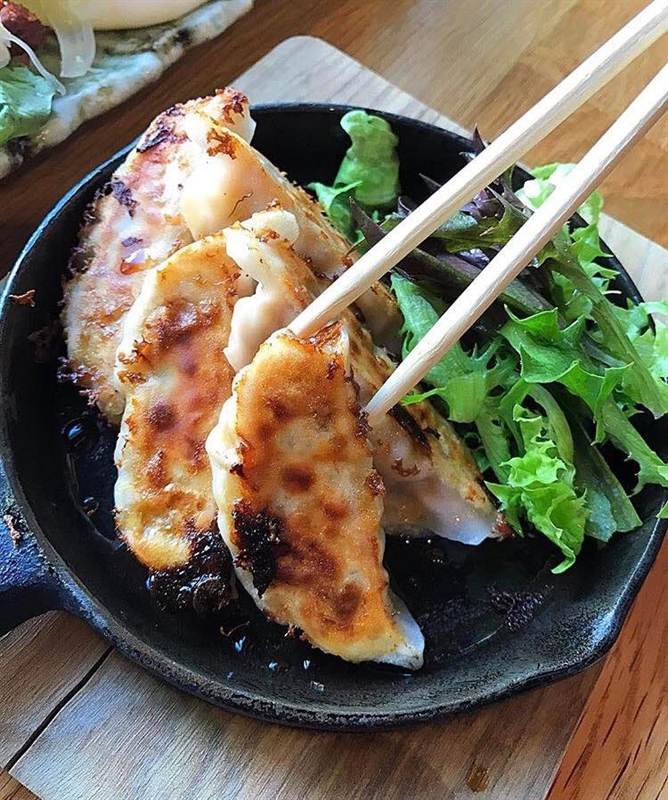 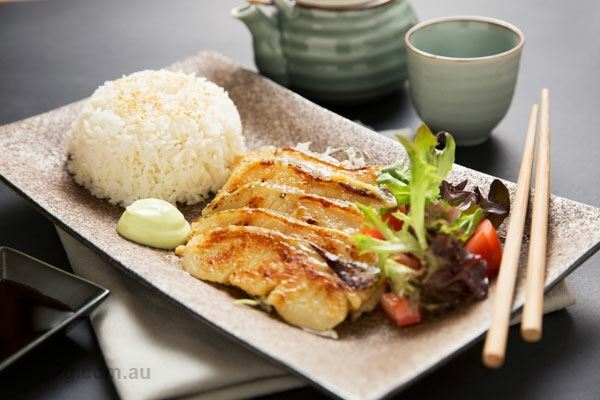 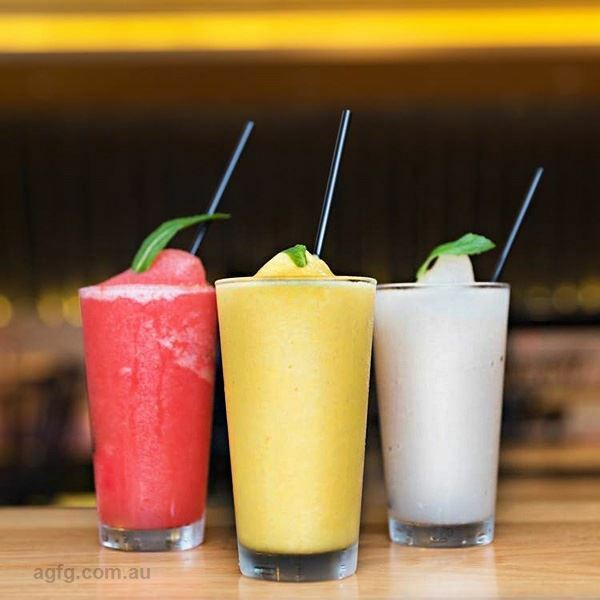 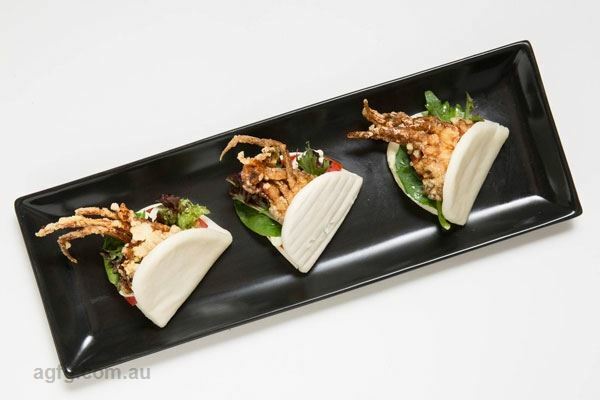 Experience an explosion of Modern Asian fusion flavours at restaurant Soi Noodle Bar, an icon in the heart of Canberra City. 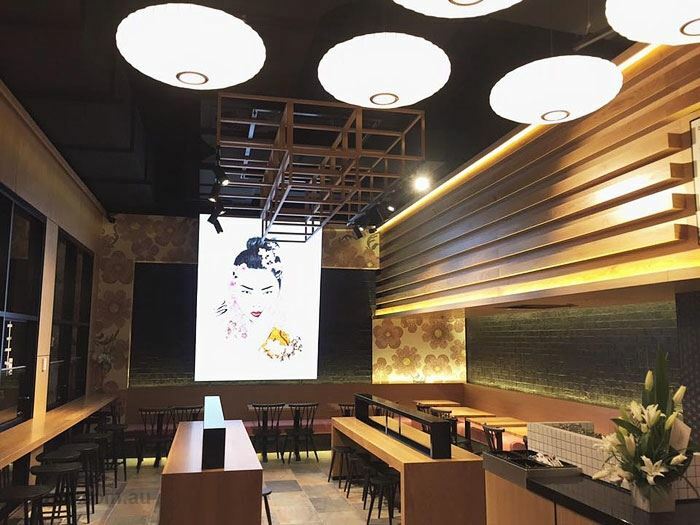 Sleek in design, Soi features an industrial style, harbouring an earthy ambiance with a palette of soft browns and blossom wallpaper, while the painted eyes of a watchful Geisha observe diners milling around a bright window bar, or settling into a cushioned bench. 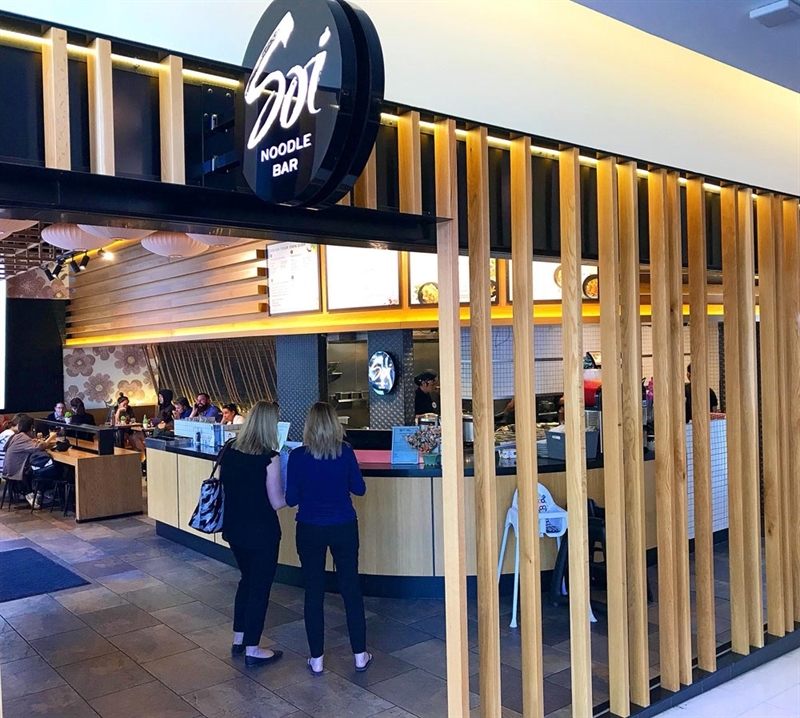 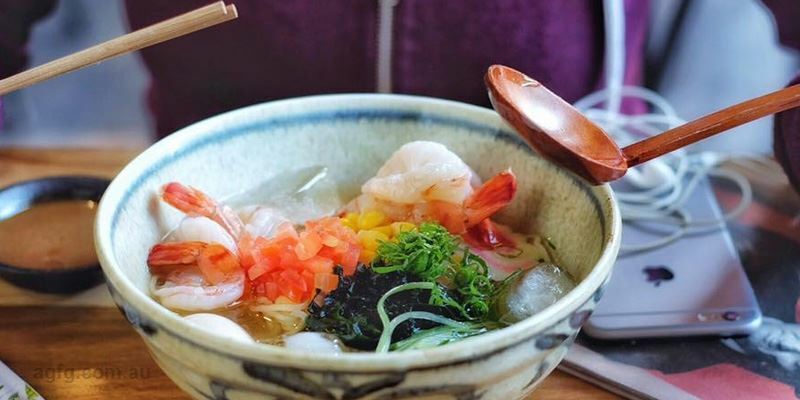 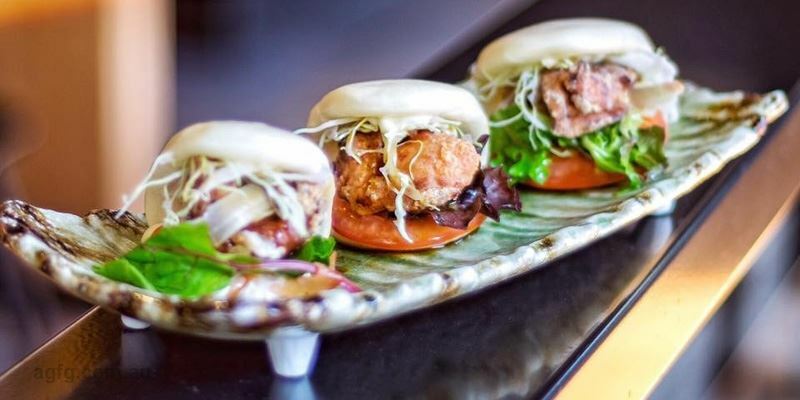 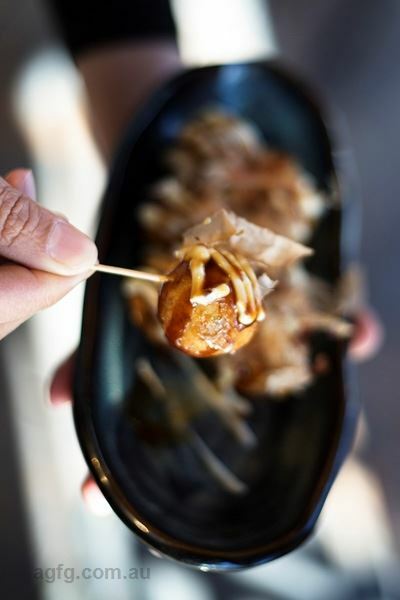 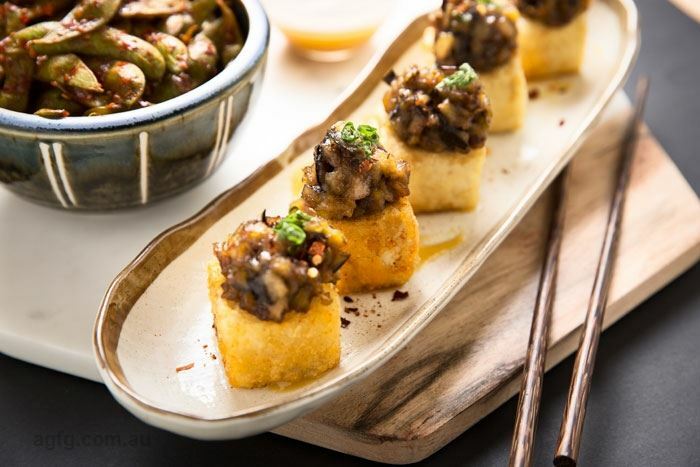 Soi sets out to encourage participation; guests may choose their own noodles and flavours in a Thai food experience, or leave it to skilled Chefs and delve into set Japanese dishes and sumptuous street food snacks. 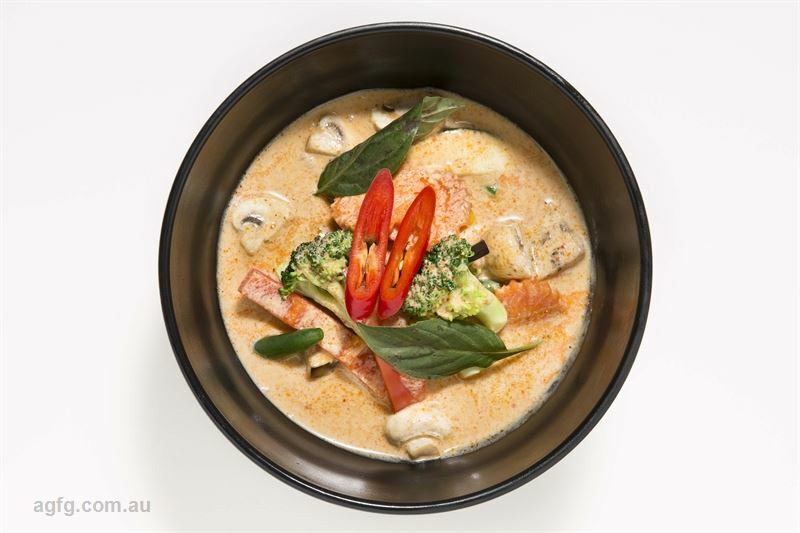 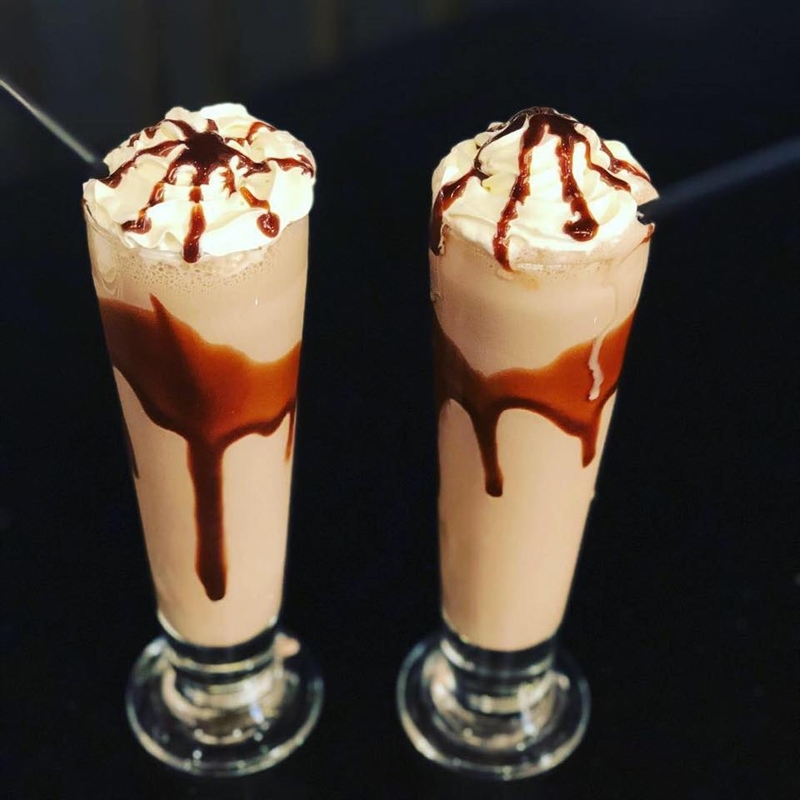 Perhaps start with Tom Yum soup, before filling up on slow cooked beef cheeks, salad, wasabi mayonnaise and black rice; or Massaman curry, with coconut milk, onions, potatoes and roasted peanuts.